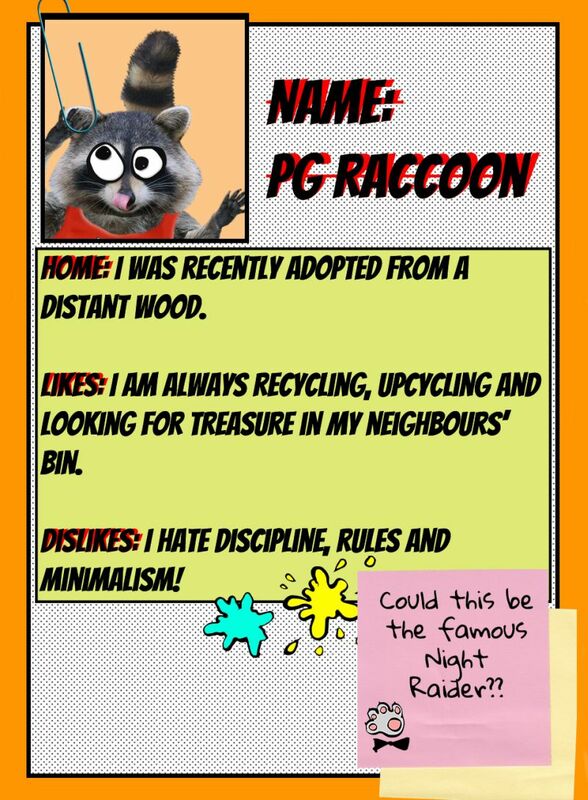 I’m PG Raccoon, the crazy kid from faaaaaaaar away. I’m loud, I’m proud, I’m wacky, and HATE waste. My poor friend Bill the Snail has so much of my collected stuff in his room because mine’s all full up. But he has a shell to hide in anyway so it’s not like he needs it. Anyways, where was I? Oh yeah, See, I like to make stuff… outta stuff. I think you human guys call it ‘re-cy-cling’. I think it’s a great way to be creative! Follow me for tips, tricks and inventive fun!